If You see an advertisement please wait for our Video to start. The two big Automotive convention shows are here again SEMA and NACE, each vying to be the best. But you don’t have to spend all that time and money traveling to Vegas to get the best deals on your Collision Repair Equipment. As a matter of fact you will get the best deals on all auto body repair equipment that we sell on our website with better prices than at the shows. So go to the Pro Line Systems Website here: http://prolinesystems.net and dig into the great products with Special Show Savings just for you. These special SEMA and NACE equipment promotions will be honored through November 22, 2013. We will gladly quote the special show pricing upon request. phenomenal Lease Purchase programs are available with the best rates ever. Call 305-793-9503 For Pricing and Free consultation. Chrysler has recently announced a “Certified Collision Repair Facility Program”. Enrollment is now open. When repairs are completed with 100-percent OEM collision repair parts, a written Certificate of Authenticity will be created for the customers records. An update to the CARFAX vehicle report showing 100-percent OEM parts were used in the repair, and that Chrysler Recognized Certified Collision Repair Facility made the repairs. There Is Nothing in the outline of the program that requires an enrolling shop to purchase a Spot Welder through the PSE Chrysler Dealer Equipment Program. So this will save you money and give you the choice of purchasing equipment You Want. Therefore, Pro Line Systems International is offering special pricing on the following CompuSpot welders for Chrysler dealerships and independent shops enrolling in the program. All these CompuSpot models are priced well below any other welder for this special program and have the best design and functionality in their class. Here are Some Links To Get You Started: Each page has a place to download the brochure and Watch a VIDEO. More detailed information and documentation is available on request. 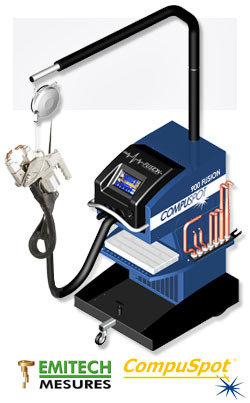 CompuSpot 900 Fusion “Smart” Technology Spot Welding System. Utilizing Advanced System Controls CompuSpot has enabled a new generation of intelligent resistance spot welding for the automotive collision repair industry. 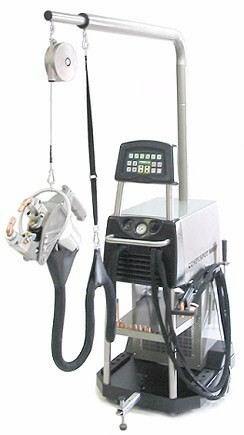 Truly a Plug and Play marvel as it automatically sets the welding parameters without user input.